Mexico today is full of overlooked retirement havens where you can retire in luxury without spending a fortune. Today’s Mexico is largely First World, with excellent highways, sleek airports and high-speed telecommunications, as well as first-run films (in English, with Spanish subtitles) and television shows. You’ll find shopping malls and supermarkets, all carrying many familiar products from home. You’ll also enjoy a more relaxed, slower pace of life here, where children still play in the streets and neighbours know each other. You’ll also find a rich, strong local culture, with traditional markets; colourful, indigenous dress; ancient ruins; and regional music, dance and customs. There is so much to see and do in Mexico, and the local people are friendly and warm. Mexico is a large country with a varied geography, which means that you can find whatever climate and lifestyle you’ve always dreamed of. Like the beach? 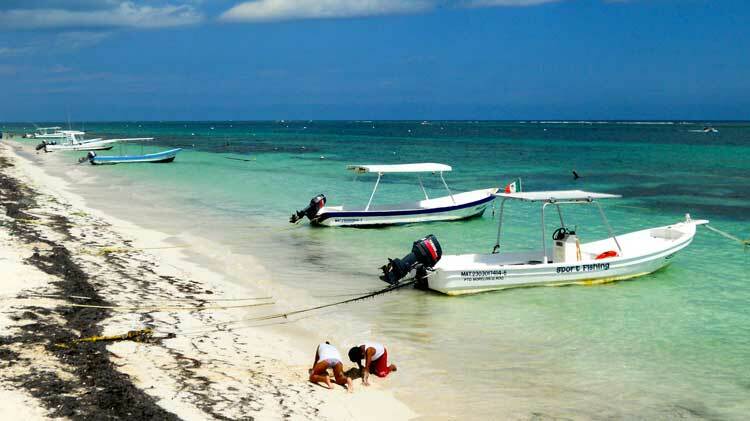 Mexico has nearly 9,656 kilometres of coastline and most of it is white-sand beach. In First-World beach resorts like Puerto Vallarta, Cancún or Los Cabos, you can enjoy a range of luxury amenities. If small, local beach towns are more your speed, then check out places like the Yucatán Coast or parts of the Pacific Coast. If you want to get totally off the grid, try along the Costa Maya’s beautiful Caribbean waters. Mexico’s Colonial Highlands could be for you if you prefer mountain vistas and temperate weather. San Miguel de Allende, Querétaro and a host of others offer sophisticated living in Spanish-colonial cities. No matter what lifestyle you dream of for your retirement, you’ll find it in Mexico. Read more: Is It Safe to Travel in Mexico?